Copyright © 2017 Arthur Perlett. All Rights Reserved. Arthur believes furniture should move beyond utilitarian into the realm of functional art. He uses time proven traditional woodworking techniques to create contemporary furniture forms. Like any artistic medium, Arthur wants his furniture to evoke an emotional response, unique to the viewer. Born and raised on the prairies, this Saskatchewan artist has traveled from coast to coast to coast to have people, places, nature, and art echo in his furniture design. Woodwork and furniture making have been part of Arthur’s life since the early 1980’s. Arthur carefully designs and builds his furniture, signing and dating each individual piece. He currently sits on the Emma International Art Collaboration Committee selecting by invitation only participants and forming policy for the bi-annual international event. 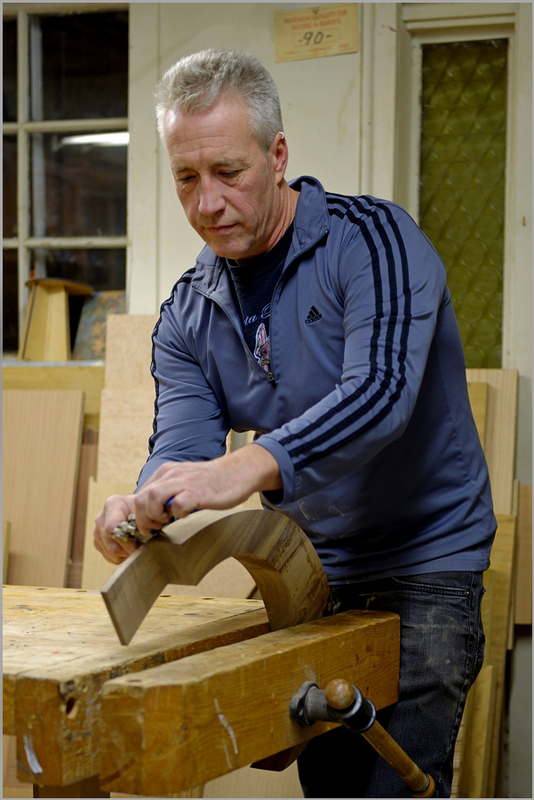 In 2015 Arthur was featured on the cover of Canadian Woodworking Magazine in which he contributed an article and exclusive video. Canada House, the Canadian embassy located in Trafalgar Square, London, U.K., commissioned Arthur as a feature artist in 2014 to create a credenza for the “Saskatchewan Room”. In 2007 Arthur was honored to be chosen as a Saskatchewan Arts Board juror, and in 2006, Arthur was selected as a Juror of Fine Craft for the Canada Council for the Arts.